N.E.R.D and Billionaire Boys Club London have come together for a special N.E.R.D merch collection. The new capsule is made up of eight new items, consisting of T-shirts, long-sleeve and short-sleeve, hoodies, skate decks and hats. For available colorways, fans can expect straightforward white and black designs with bold yellow detailing. Staying true to the collaboration’s themes, each product features branding from both entities involved. 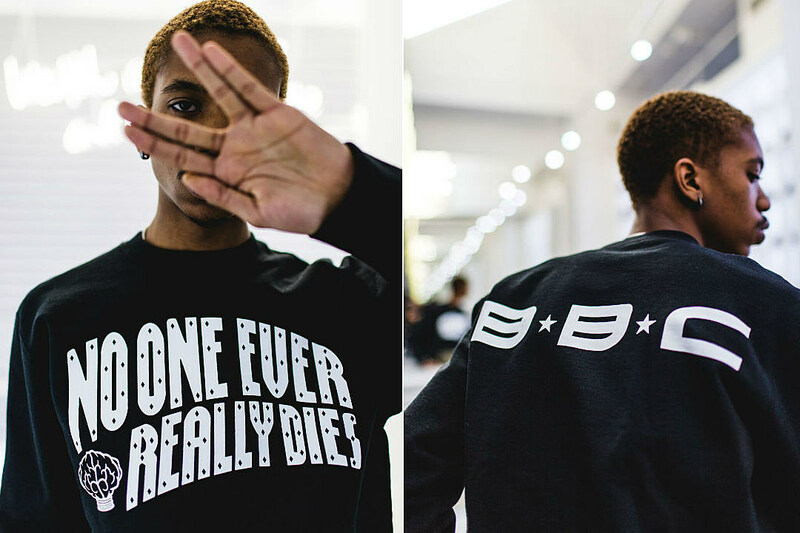 You can take a look at the new N.E.R.D and Billionaire Boys Club London collaboration above. To pick up some of the gear for yourself, stop by the BBC London store on Saturday, July 14. For more, check out the Star Trak and BBC collaboration from earlier this month. N.E.R.D and Billionaire Boys Club have once again joined forces for a collaborative capsule collection. The specially-branded range of item is scheduled to become available tomorrow, July 14. This time around, the joint assortment consists of short-sleeve and long-sleeve T-shirts, each with graphic print, as well as a graphic pullover hoodie, an adjustable mesh hat, and a skate deck.